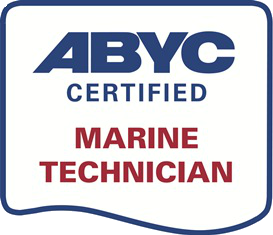 I wish to personally welcome you to Ocean Boatworks, an ABYC Certified Mobile Marine Service company. We will come to your location to solve your Systems, Electrical or Electronics problems. Whether this means diagnosing an erratic issue, or a complete rewiring of your Systems to ABYC standards, I will attend to your boat as a dedicated professional and complete the work to the highest quality. I realize how important your boat is to you, and how critical it is for your electrical and electronic systems to operate properly and reliably under way. Before I begin work, I’ll provide you with a written estimate of materials and labor costs If applicable. During my work, I will remain attentive to the job at hand, employing state-of-the-art techniques and proper tools and materials, so that the final result is of the highest, ABYC standards. When I have finished my work, you will have the opportunity to examine it and make sure that I’ve solved your problems to your satisfaction. I’ve been working in the marine industry since 1988, having Captained large sailing vessels, operated charter businesses, and was in charge of large projects for Sea Marine, in Port Townsend, where we refit vessels to the latest equipment. I bring this training and expertise to you, and look forward to taking on whatever Electric, Electronic, or Systems work your vessel requires.